Four days after Senate Democrats introduced a new bill to limit carbon emissions, an international conference discussing the scientific holes in the theory of man-made global warming began in Chicago. Despite the attendance of hundreds of scientists from across the globe, as well as polls finding Americans becoming less and less convinced that man has anything to do with the warming trend the planet has experienced since 1850, our nation's media couldn't care less. 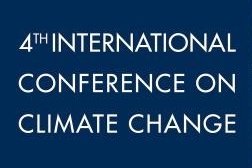 The Fourth International Conference on Climate Change included such renowned scientists as MIT's Richard Lindzen, University of Virginia's S. Fred Singer, and former NASA astronaut and Senator Harrison Schmitt. During one of Monday's breakout sessions, Western Washington University's Don Easterbrook claimed that the recent warming trend that began in the '70s is officially over, and predicted that we have entered a lengthy period of cooling. Many other scientists present concurred with Easterbrook's claim. Some even offered far more dire predictions that the cooling which began in 1998 could end up lasting far longer than the few decades Easterbrook is forecasting. One would think such predictions, especially given the harsh winter many Americans experienced this year, would be of interest to the weather junkies in the media. Unfortunately, Google news and LexisNexis searches have not identified one major news outlet covering the proceedings in Chicago. For those interested, the Conference's sponsor, the Heartland Institute, has videos available of the keynote speeches through Monday. More videos will be posted as they come available. Readers are advised that the Media Research Center is a co-sponsor of this conference.